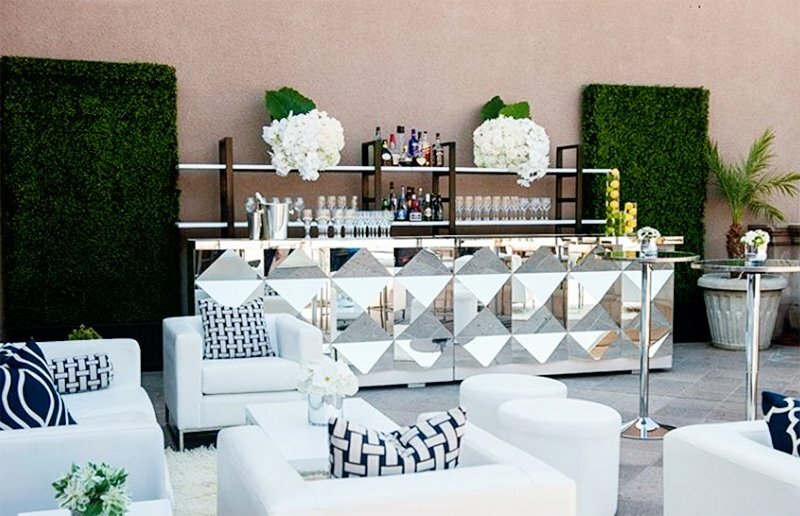 Over the next two months, you’ll probably be attending A LOT of get togethers. Tis the season! If you’re like me, you like to bring a little contribution to each event. My go-to gift is always wine. 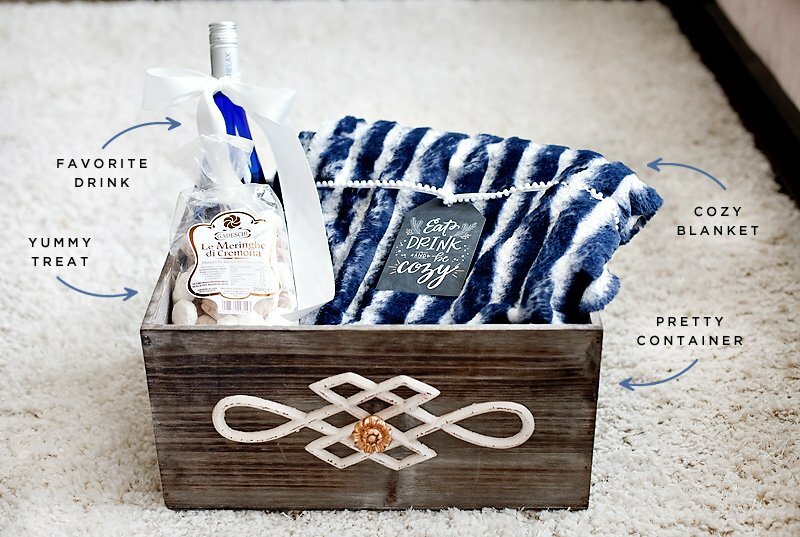 So why not make it special, put a little extra effort, and package it pretty! I’ve got a great alternative to buying those wine gift bags, that’s cute and cheaper! 1. I start by cutting approximately two additional inches off my half a yard of material because a half yard is a tad too big (and save this material, I have another project coming soon that you can use it for). A little tip for you – go to a local fabric store, and check out their sale fabrics. Those are often around $2.00-$3.00 per yard. I usually buy a few different patterns of fabric, and keep them stocked at home. So I can easily have all supplies on hand when I’m running to a party! 2. 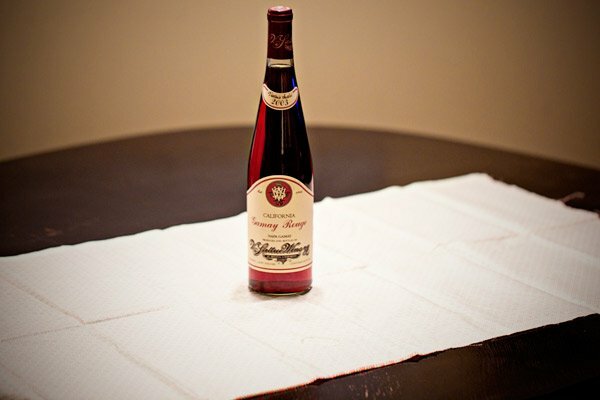 Lay your material face down, and place the wine bottle in the center of it. 3. Lift and bunch up your material. I typically bring the opposite corners together first. Then I pull everything taught around the wine bottle. 4. 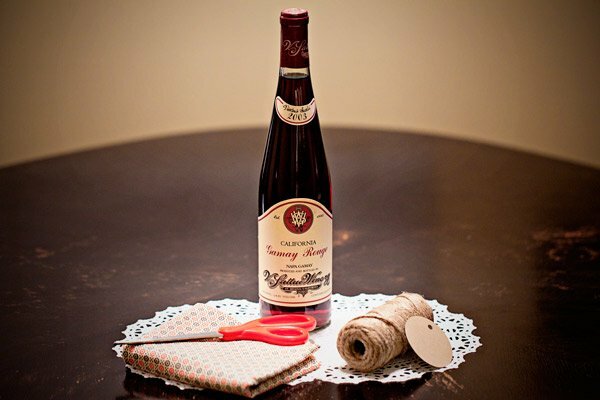 Grab your twine or ribbon, and tie it at the bottom of the neck of your wine bottle. Be sure to pull your material up to keep it taught. 5. Before I complete my bow, I put on a little tag with my name, so my hostess will know who this fabulous bottle of wine is from. And I’ll even write a little note on there as well. And there you have it! 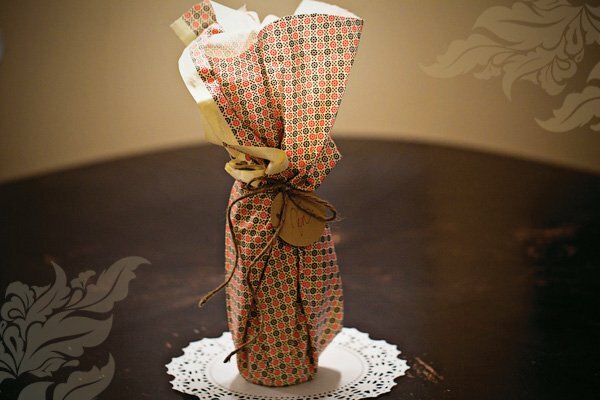 A lovely and creatively packaged bottle of wine, that will make your hostess smile just a little more, because you put some extra effort in to thinking of her! 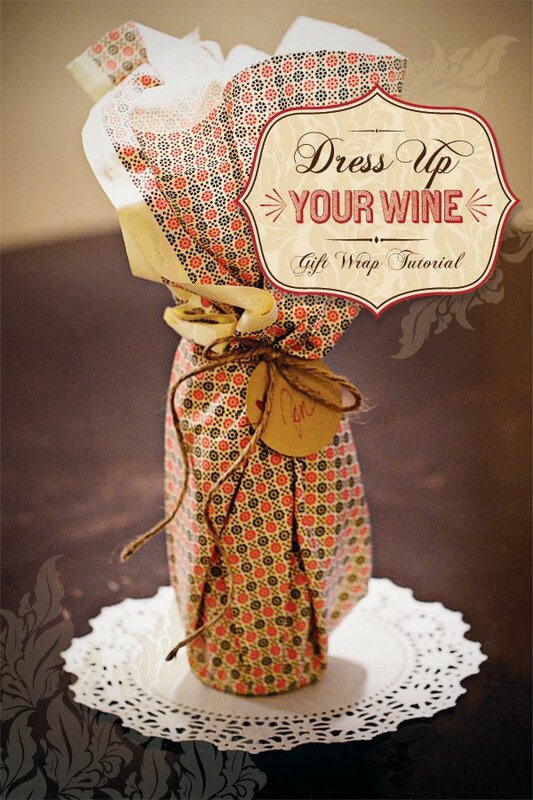 Have fun with this wine gift wrap! 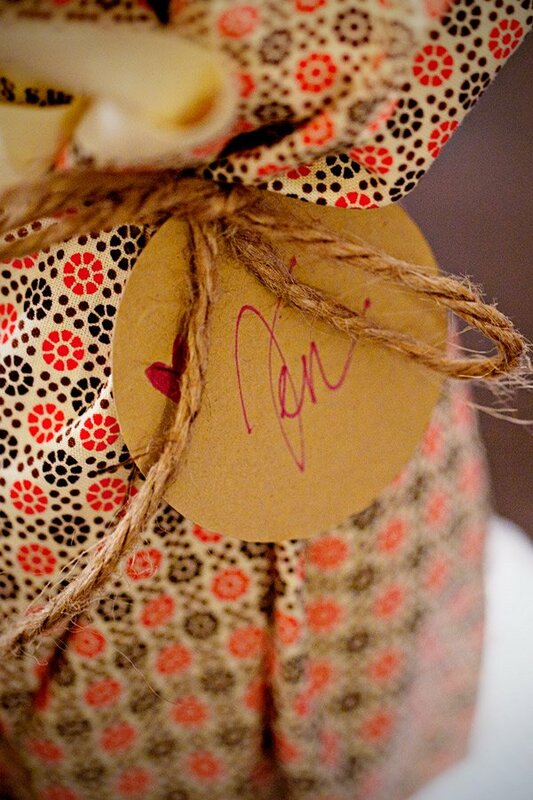 It’s so simple, and much more personal than buying a gift bag for your wine. And it’s actually more convenient. I have plenty of fabric around my house, but not too many wine gift bags, so why not? Enjoy! 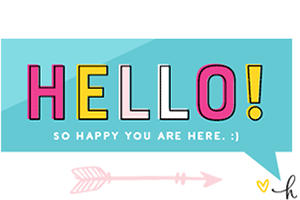 JEN HRYCYK of Jen CYK Photography® is a lover of all things happy, beautiful, positive, and inspirational. 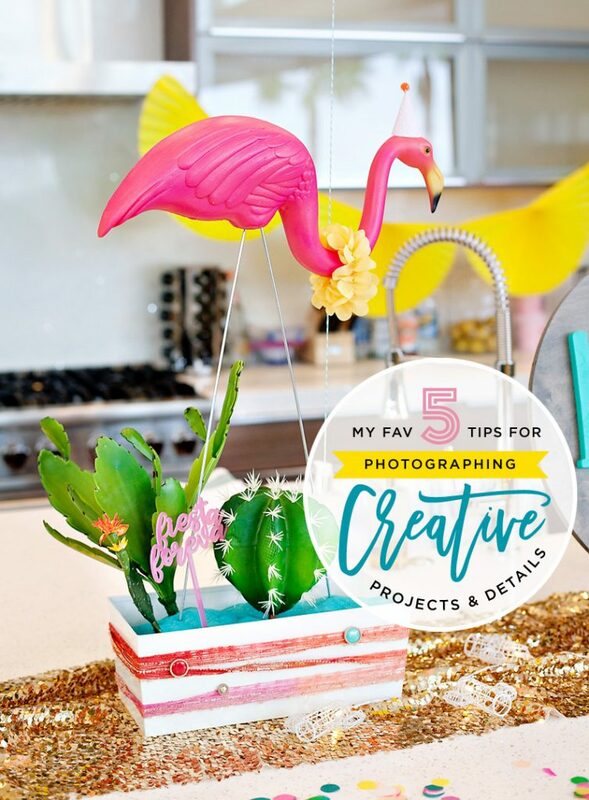 She has a genuine passion for visual beauty in every aspect of life, and loves to create inspiration through pictures, crafts, and everyday moments. Her love for photography stems from a lifetime of being ”the picture taker” of the group. Looking at her closet shelves, you’ll find dozens of albums that document Jen’s life since childhood. It was when she began to look at pictures as art that she found her voice. Her appreciation for photography as a visual expression of life is what inspires her to create beautiful things. 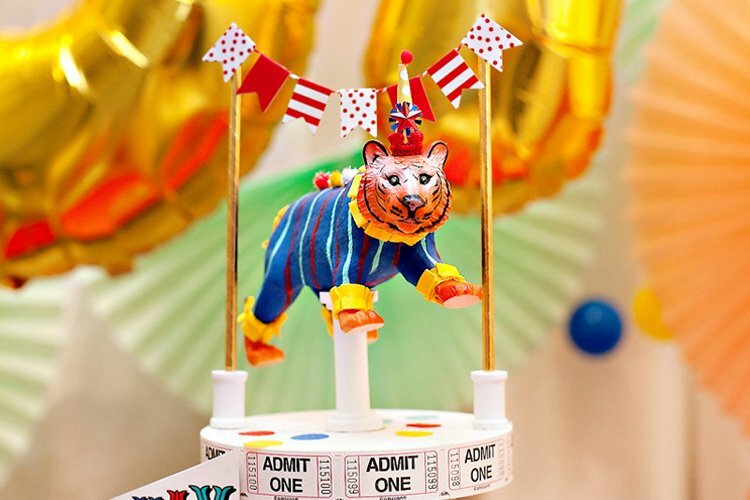 Jen CYK Photography®, her lifestyle photography studio, combines her enthusiasm for stunning images with her natural talent of connecting with people. As a Communications graduate from California State University of Long Beach, Jen is able to capture raw and genuine emotions in each person she works with. 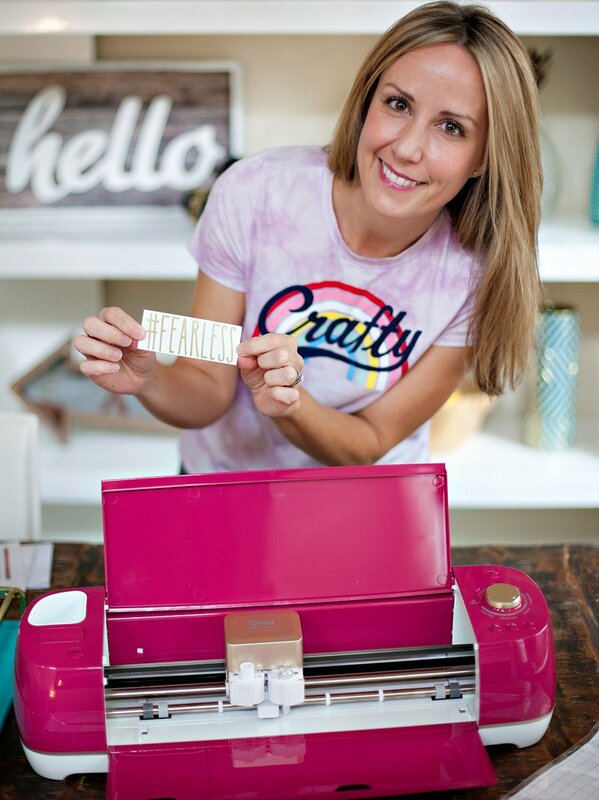 She loves sharing creative ideas as well as ways to make everyday moments shine a little brighter. She resides in Orange County, CA with her husband James, and favorite basset hound pup, Rampage. Jen smiles every day while doing what she loves. She’s blessed to have awesome clients who trust her to document both simple and amazing moments in their lives, again and again.